Where has summer gone? I had so many goals for the year. Unfortunately, summer is halfway over and I am not halfway to meeting my goals. With the Young’s Dairy Charity Ride fast approaching and our week long trip across Ohio just over a week away, I was getting more than a little worried. That’s when Velo Junkie and I decided enough was enough. We had had enough of house renovations and teenage driving lessons; enough of the daily grind and boring meetings; enough of everything that was keeping us from the great outdoors. On June 26th we joined a group of riders for the final rally ride sponsored by Young’s Dairy. Our first, their fourth. 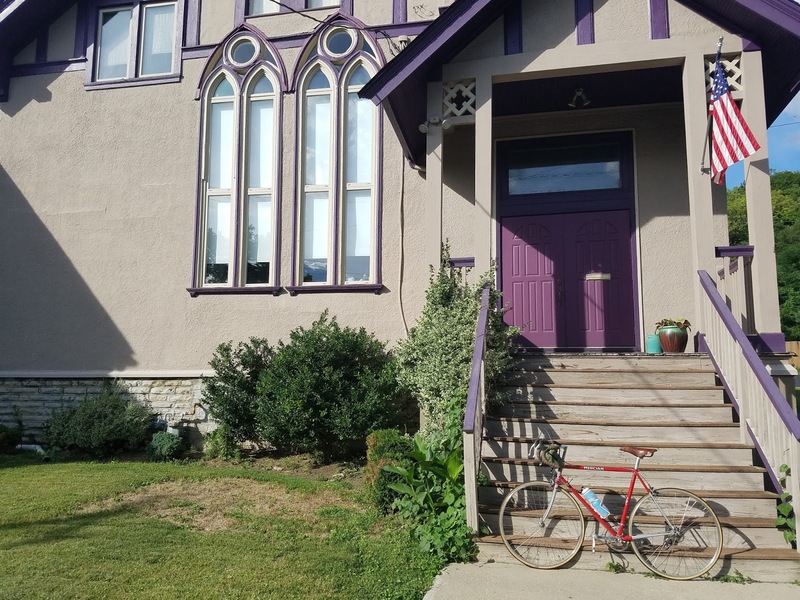 A 60-mile ride starting in Yellow Springs, Oh. On July 2, the Saturday before Independence Day, Velo and I opted for a training ride with our friend, Rick, aka Pedal Pusher. He will be joining us for our Ohio-to-Erie trail ride and is sorely lacking sufficient training as well. 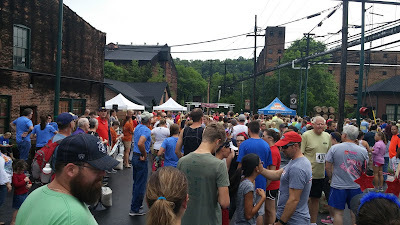 On July 4th Velo and I joined a 5k at Buffalo Trace Distillery in Frankfort, KY. Free bourbon tastings for all. 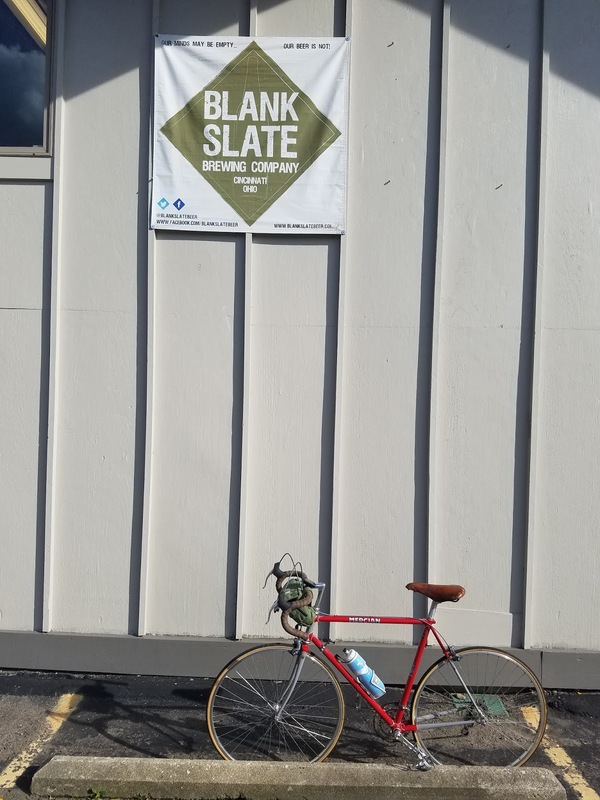 July 9th took us to Blank Slate Brewery for a pint. 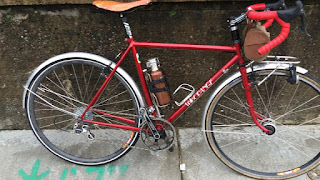 Velo wanted to try out his new Kleen Kanteen growler. So let’s take a closer look at each one of these events through the eyes of the Reluctant Cyclist. The rally ride, the whole 60 miles of it, was an exercise in endurance. 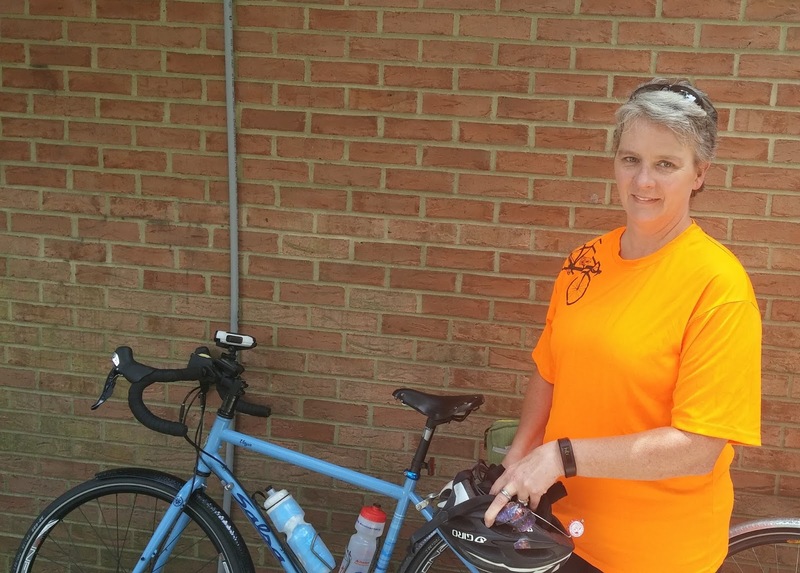 From the early morning awakening, to the 70-mile drive, to the steamy, 60-mile ride. The day began muggy and humid with the promise of 95-degree heat before we finished. I decided to bring one of our Camelbaks and fill it with ice, but I was lamenting the fact that I couldn’t find the smaller one and how I thought it would be preferential. Velo, in all his wonderfulness, found the smaller unit and tossed it in the car. Close to our destination we stopped at a convenience store to fill the bladder. No mouthpiece! Water was streaming out as fast as we were putting it in. I would have to survive without the cooling effects of ice melting on my back. We arrived late so we were the last ones to take off. It wasn’t long before the sun was high in the sky and I felt as though my scalp were shrinking. My genetic makeup is weird in that I don’t perspire very much. Which is a good thing in stressful situations where you should never let them see you sweat. Not so desirable when you start to overheat. I need to carry water to pour over my head to lower my body temperature, and without the Camelbak, I was mildly water deficient. 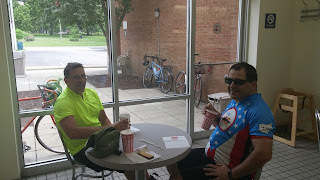 The second rest stop was a little more than 30 miles into the ride. At that point we could have stayed on the bike trail and reached lunch in 10 miles, or we could have followed the mapped route for a 20-mile spin on the road to lunch. I still felt pretty good and wanted to prepare for the official ride, which offers an 83-mile option, so we picked the road route. Can you say “STUPID”? Ugh. I wanted to be done. We still had 10 miles after lunch and I was waning fast. 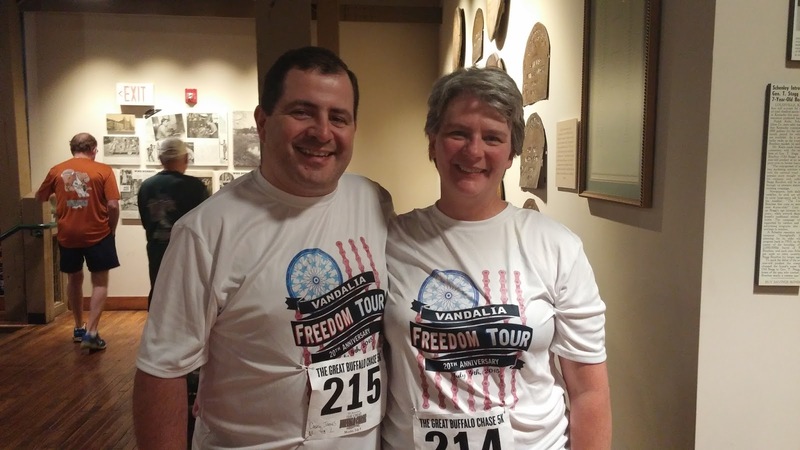 My back and neck felt as though they had been bound in shrink wrap, my knees had the consistency of wet noodles, and my concentration had been tested beyond all reasonableness. We had to stop a few times for a stretch but fresh ice cream from the dairy was calling. Always have an end-game, a reason for reaching the finish line. Today is was ice cream. We’ll still have to see about that 83-miles. I may opt for the shorter route. 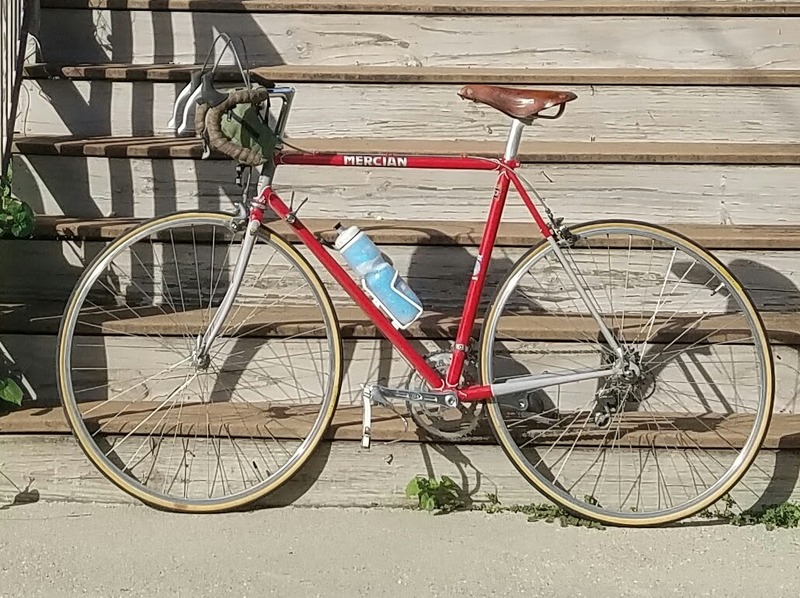 Our friend Rick (Pedal) was itching to get some miles under his belt and happened to be free at the start of the holiday weekend. We all needed some workouts prior to our week-long journey together so we elected for a 30-miler out and back along the Ohio River. Again, it was rather dewy and hot. No surprise, July in Ohio is likely to be on the moist side with the mercury approaching the limit. 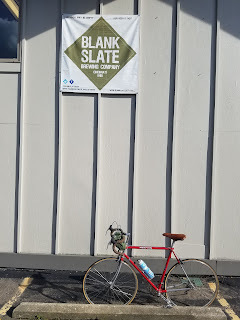 I tend to be the limiting factor when Velo and Pedal get together, so I had to express a gentle reminder on the outset that I refused to spin full-throttle the whole way. Threat noted, Velo stayed with me even when Pedal was feeling good and rolling on, which explains the lack of photos for this section of the blog. I was riding my Salsa because it is the bike a will need to ride for the weeklong tour. The Salsa, though very utilitarian, is like pedaling a dump truck when compared to the effort required for the lightweight frame of my Gunnar. Our destination was United Dairy Farmers in Sayler Park, along US 50 East, for a milkshake. I tried really hard to say no to the cold, sweet, creamy goodness but the little devil on my shoulder said “Go ahead. You deserve a milkshake”. So a shake it was before our return trip over Hillside Ave., a rolling, residential street one block north of the river. I had other plans for July Fourth. I used to run a lot more than ride. 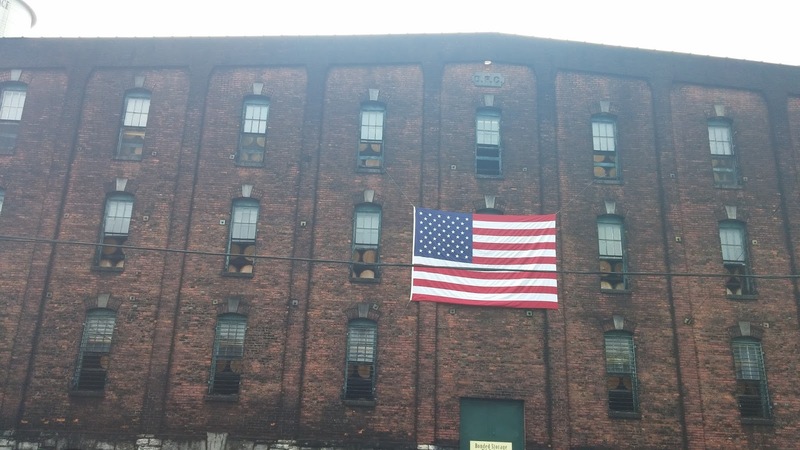 Buffalo Trace Distillery was hosting their fifteenth 4th of July 5k. I didn’t have to mention bourbon twice for Velo to agree to the race. 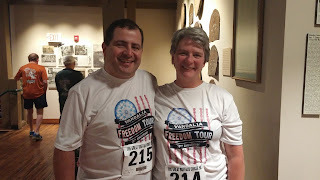 After a rough morning of trying to figure out who was going to manage the teenager in our absence, we headed to the hotel on Saturday for a good night’s sleep before the race. Frankfort, KY is not too far, but far enough that we didn’t want to have to drive it the morning of the race with a gun-time of 8:00 a.m.
After a light breakfast from the hotel we gathered our luggage and started for the car when we were stopped by two young Kenyan’s waiting at the door for a taxi. They appeared to be very fast and they needed a ride to the race. Through broken English they confirmed they were very fast indeed and that they hoped to win the $3,000 purse for the race. Later that day the race results proved them right. They took first and second place in just over 13 minutes. Congratulations my friends. Nice job. The air on the morning of the race could have been cut with a knife. It had rained just enough to create a cloud hanging about waist-high. I, as opposed to our speedy friends, was glad to finish in 38 minutes. All excuses aside, I never excelled at running and had pretty much abandoned the sport in recent years. The end-game for the race was quite different than the two recent rides, yet just as rewarding. 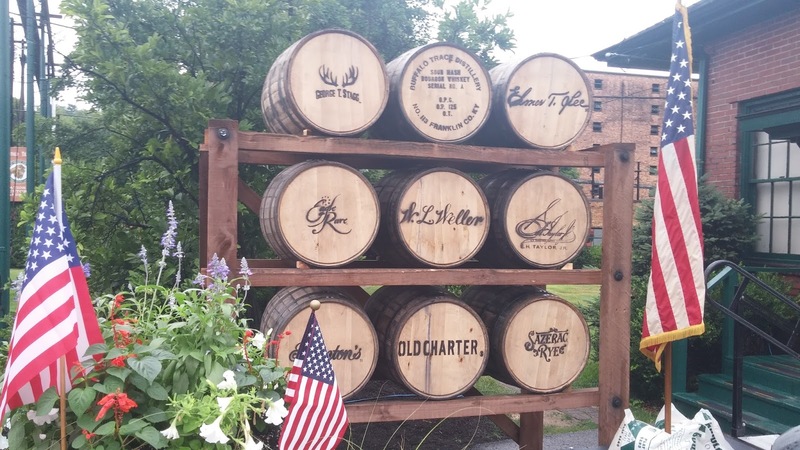 Since the race took place at the oldest bourbon distillery in Kentucky we would be amiss to leave without a taste of the fruits of the still. White Dog was the clear, virgin whisky that hadn’t seen the inside of a barrel yet. I think it removed a layer of flesh from the back of my throat on the way down. 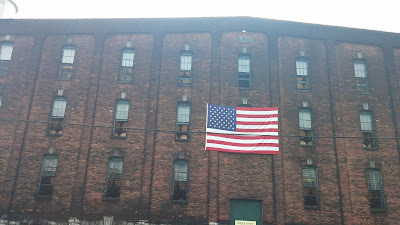 Buffalo Trace Bourbon was a blend, and a very good one at that. 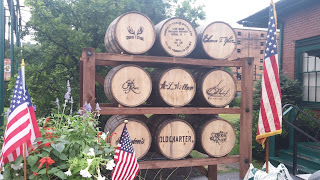 Eagle’s Rare was single batch and aged at least ten years in oak barrels. Apparently the distillers wanted to create something that didn’t need to rest nearly as long as bourbon so they came up with Wheatley Vodka. I recommend it if you are a vodka person, but I seldom consume the stuff. Our last taste was Buffalo Trace Cream. This was excellent by itself, but mixed with their Dr. McGillicuddy’s Root Beer…I think I just found my new favorite dessert. A bourbon laced root beer float. After a very busy holiday weekend and then a short but busy work week, another Saturday came along. Since all the responsibilities had been neglected for the holiday the previous weekend, we had a few tasks to attend to. 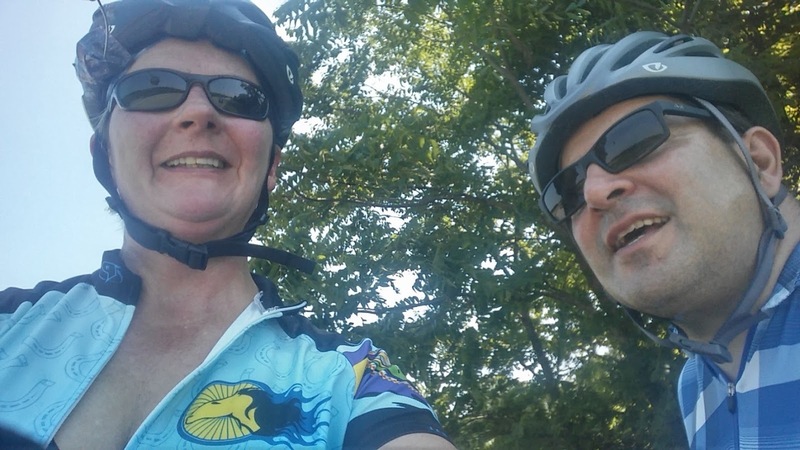 After working on the old house for several hours in the humid heat and then restocking the groceries for the upcoming week, we were determined to get a ride in. Velo wanted to try out his new Kleen Kanteen growler so we took a short jaunt over to Blank Slate Brewery, Velo’s favorite tap room. 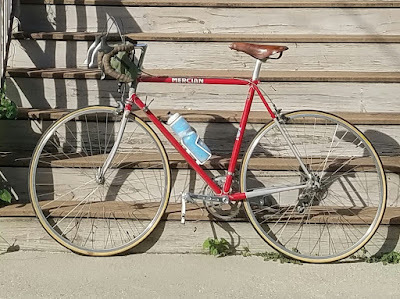 My Gunnar was in the shop getting a tune up for the upcoming charity ride so I chose my vintage Mercian for the ride. I hadn’t had him out in quite some time. I was extremely pleased to find the old lad still had pep. It was a glorious ride and I concluded I really needed to get him out of the stable more often.